The Closing Ceremony of 20th Olympia Intenational Film Festival for Chidren and Young People and the 17th Camera Zizanio took place, in enthusiastic atmosphere, on Saturday 9th of December 2017. The bigest edition than ever, with a great variety of films at the Sceening Programs, screenings in more that 10 cities of Western Greece, more than 80 parallel events, exhibitions, tributes, an international Conference, dozens of guest from many countries and also thousands of visitors – mainly students from all over Greece. But Camera Zizanio is not only screening of films. It’s week of full film creativity through the tens of cinema workshops. It’s also about 300 (and more) youngsters who cooperate, write screenplays and create films. 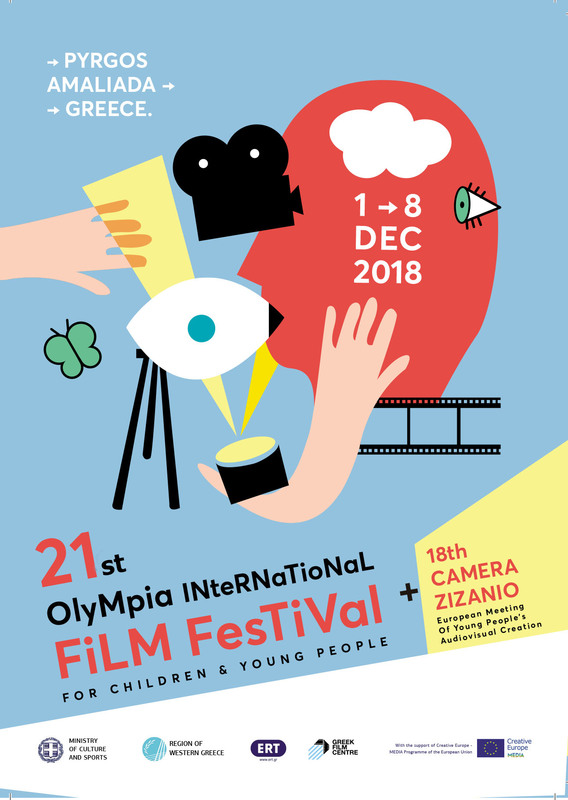 Olympia International Film Festival for Children and Young People and Camera Zizanio is not just about film screenings, juries and awards. It is also a place where our young audience gets the chance to meet experienced filmmakers and vice versa. will be in Pyrgos to offer their knowledge and insight to us.